Further to the European Commission's request, the European Committee of the Regions has published its opinion on the Mid-term evaluation of the Programme for the Environment and Climate Action (LIFE) 2014-2020, as foreseen under Article 27 (2) of Regulation (EC) No 1293/2013 ('LIFE Regulation'), the implementing act adopting the second LIFE Multiannual Work Programme (MAWP) 2018-2020 (Article 24 (4) of the LIFE Regulation), and the development of the next LIFE programme under the next Multiannual Financial Framework 2020-2027. 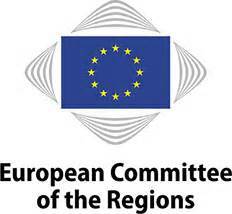 The European Committee of the Regions opinion comprises policy recommendations that cover changes to expenditure eligibility, the complementarity of funding and implementation systems among EU -financed programmes and the building of public consensus and strengthening of regional and cross-regional partnerships. It is available here in all EU official languages. For any question or comment, please email sdobservatory@eesc.europa.eu.